Life insurance is an important part of a complete financial portfolio. Learning basic life insurance facts will help you make an informed decision about the type and the amount of life insurance that you need. When you buy life insurance, you enter into a contract with an insurance company that promises to provide your beneficiaries with a certain amount of money upon your death. In return, you make periodic payments, called premiums. The premium amount is based on factors such as your age, gender, medical history, and the dollar amount of life insurance you purchase. Certain types of life insurance may provide benefits for you and your family while you’re still living. For example, permanent life insurance offers a cash value component, which can be put to good use during your lifetime. Your income can be considered your family’s most valuable asset. Your income is used to obtain the necessities of life and provide for life’s comforts. The need for that income continues, whether or not you’re here to provide it. The following situations signal a need to consider purchasing life insurance. The following situations signal a need to consider purchasing life insurance. You have a sizable estate. Carefully chosen life insurance can help loved ones maintain their standard of living after your death. Several types of life insurance are available to meet your needs. There are two main categories of life insurance: term insurance and permanent insurance. Term life insurance offers protection for your loved ones for a specified period of time—usually from one to 20 years. If you stop paying premiums, the insurance stops. Term policies pay benefits if you die during the period covered by the policy; but they do not build cash value. If you want life insurance for a limited time—long enough to meet your anticipated responsibilities to those who depend on you—term life insurance may be right for you. A breadwinner might, for example, buy a term policy that matches the length of a home’s mortgage. Premiums for term insurance are often higher as you get older. 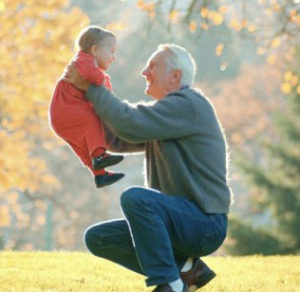 Permanent life insurance policies do not expire; they are intended to protect your loved ones permanently. Some types of these policies accumulate cash value, although they should not be purchased solely for that use, since their primary purpose is to provide protection. Permanent life insurance policies have variations. Your insurance agent can provide you with specific details to help you choose the policy that best serves your needs. If you value added security, flexibility, cash value and lifetime coverage, some form of permanent life insurance may be right for you. Term and Permanent life together. Don’t think that you’re limited to one or the other; you may find that a combination of term and permanent life meets your needs best. For example, the foundation of your life insurance plan could be permanent life, supplemented by term life during your family-building, mortgage-paying years when coverage needs are typically higher.